Hard fibers are removed from slices using a metal blade. Stand to construct the mat. 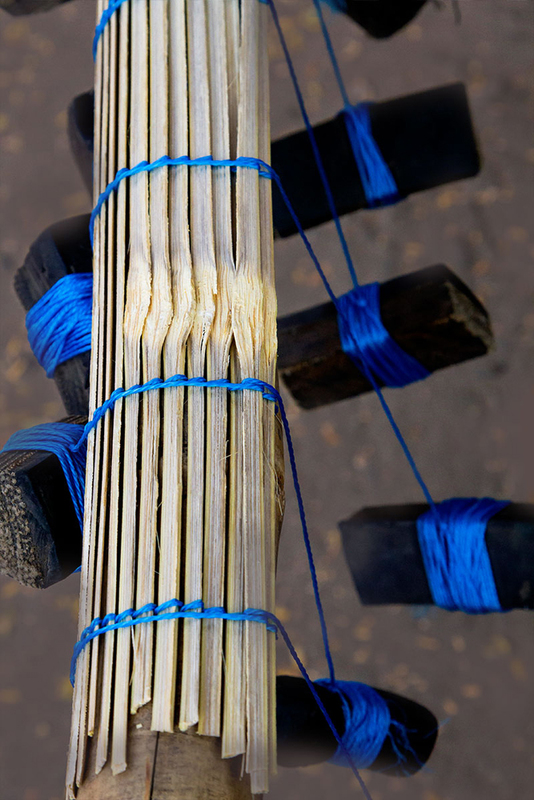 Nylon threads with a counter-weight tied at the end to as guides. Guides are suspended at equidistant and strips are fasten. Strips are fasten one after other with the help a nylon thread. 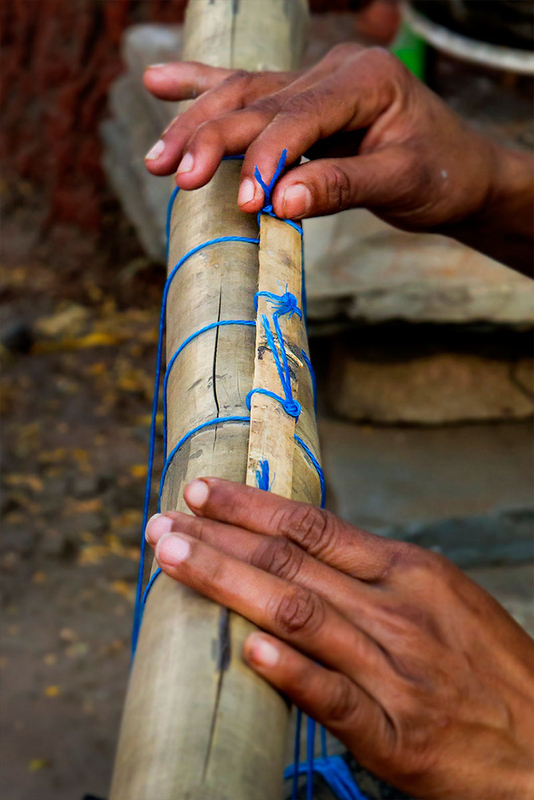 It is important for artisan to maintain the distance and fastening the strips in balance. 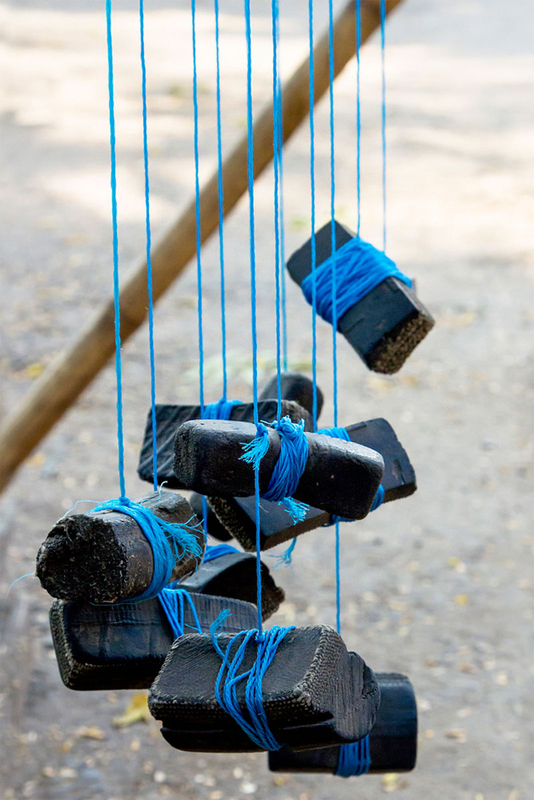 Rubber pads tied to the nylon threads. Unwanted length of strips are trimmed. Extra length nylon threads are also trimmed. 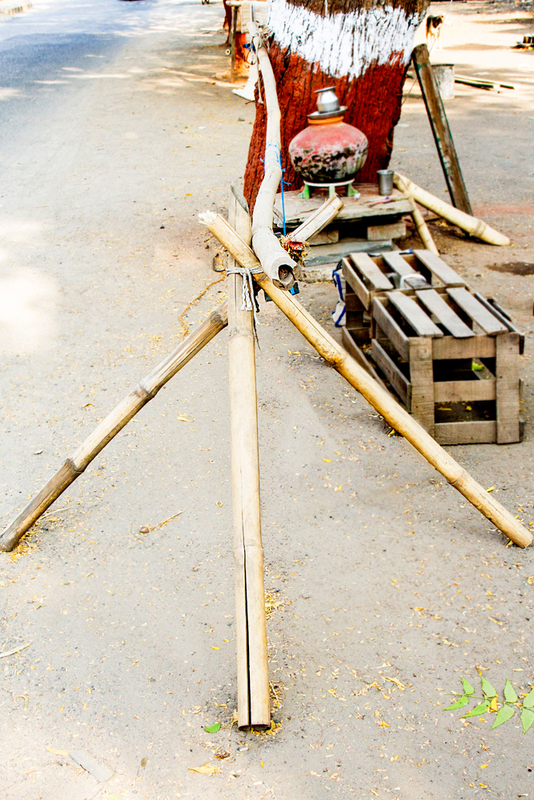 Big bamboo strip is fasten at the end which acts as counter weight to mat. 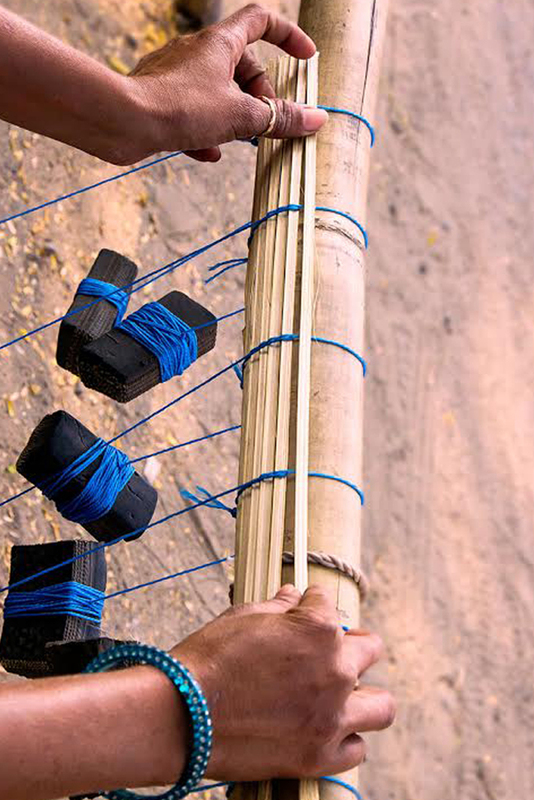 Sleek bamboo sticks tied to make mats. 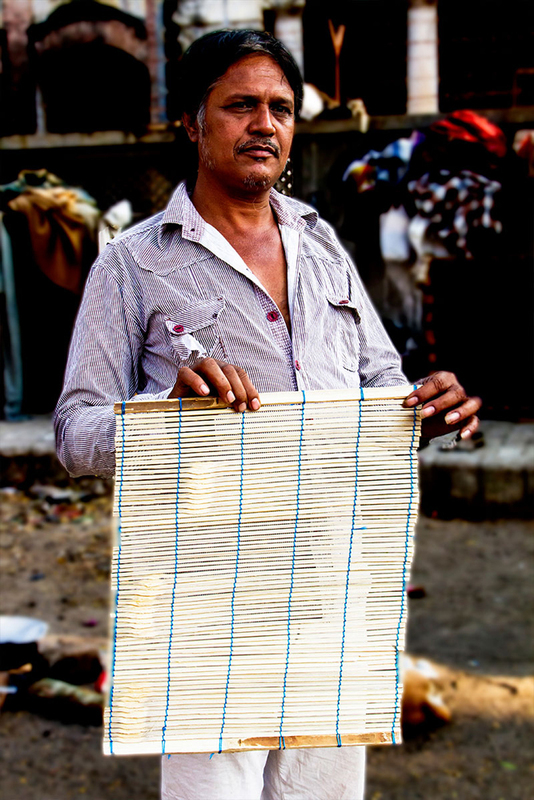 Gujarat is very famous for handicrafts, one among them is ‘Chick mat making’. A glimpse of West Indian handicrafts helps us to realize that West India is filled with the large number of talented people who are well versed in artistic works. 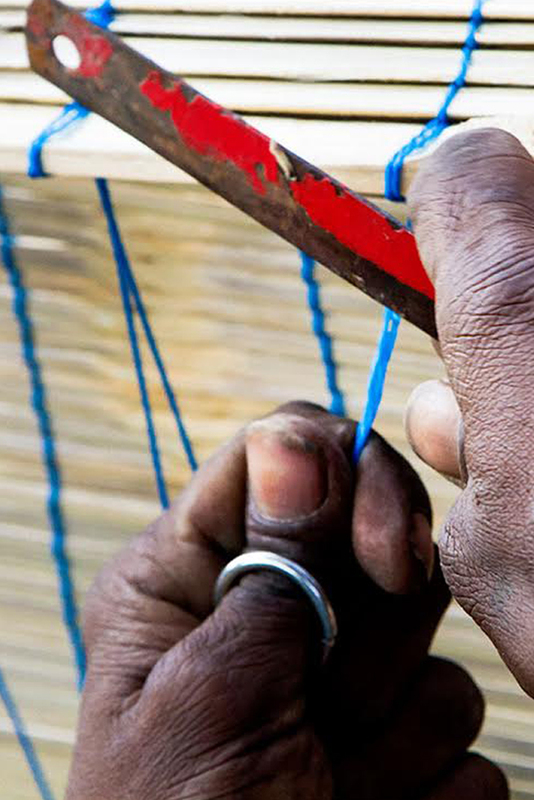 These crafts are not only known to people of India but also it is famous all over the globe. Chick mat making looks simple, but it takes lot of practice and hard work to gain the expertise. The whole of the family members get involved themselves in the process of making chick mat. 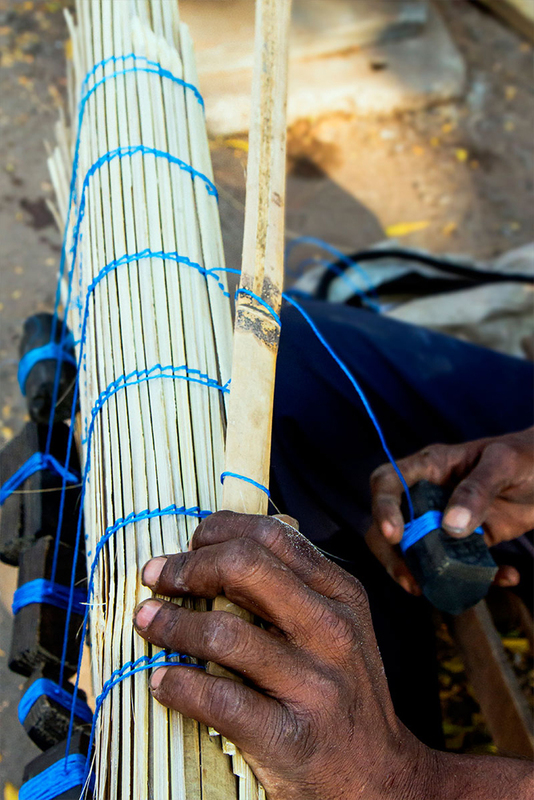 The craftsmen begin the process by taking the customer’s order. The measurements of the windows and doors are taken. 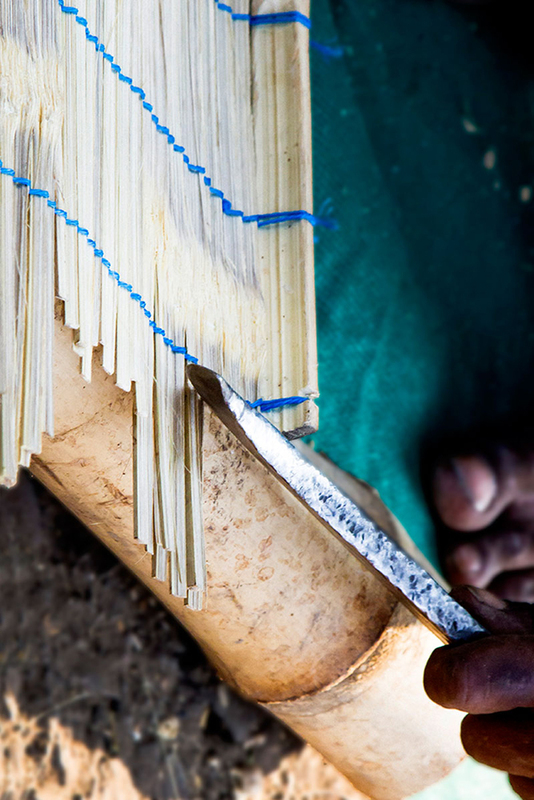 Initially the first outer layer of bamboo is peeled with the help of a knife. Then they are cut by the saw tool according to the measurements. 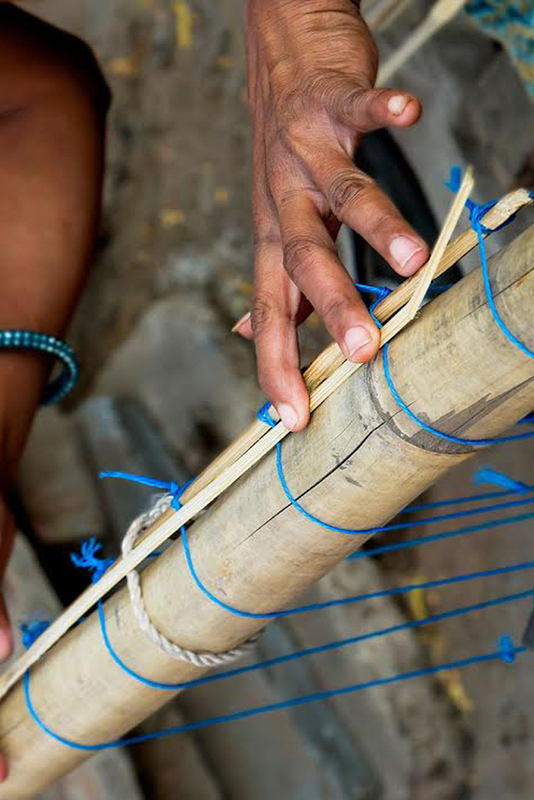 Bamboo is made into two equal pieces vertically, later it is sliced into sleek pieces through the help of the sickle. 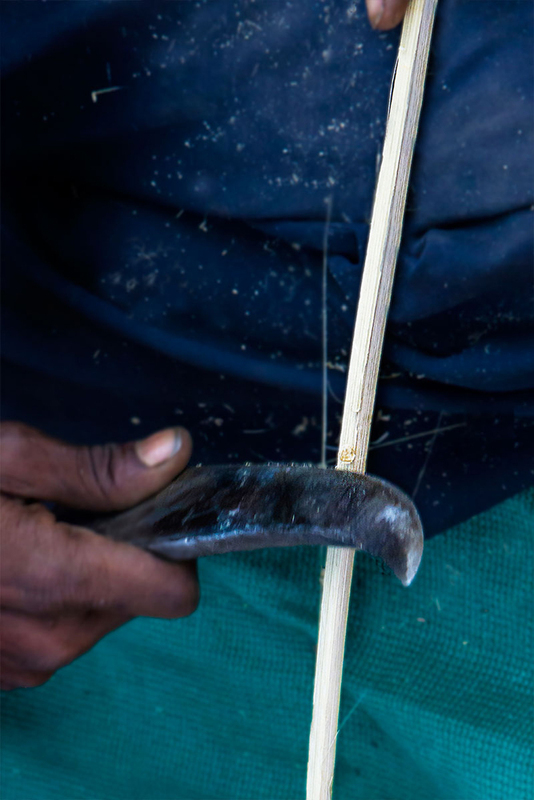 The wooden stick is tapped on the sickle with a force, to slice the bamboo.